This week’s WordPress Weekly Photo Challenge theme is “Fresh“. I’ve been spending a long four-day weekend at my girlfriend’s family dairy farm, where she grew up, for her birthday. We’ve had fresh raw milk (oh how I love thee! 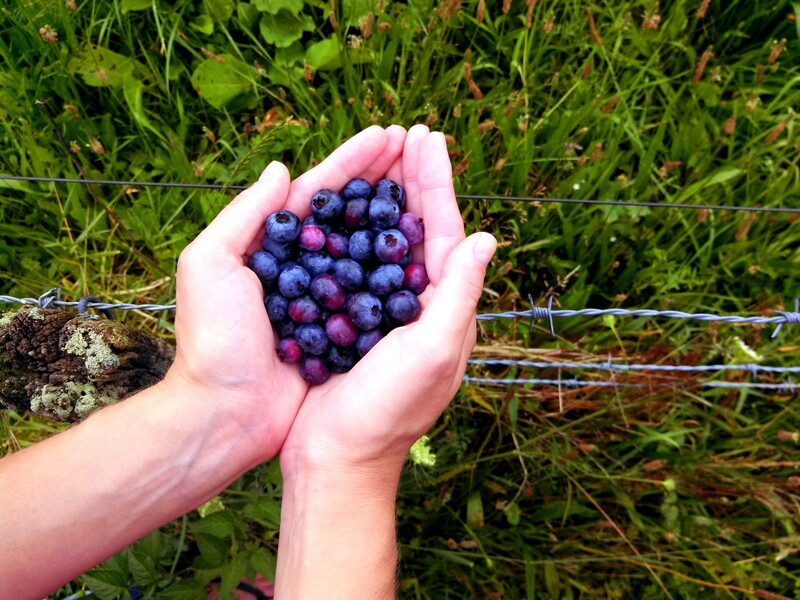 ), fresh raspberry pies, fresh air, and enjoying these fresh blueberries we picked at her grandmother’s farm next door. It’s been an incredible weekend of love, celebration, and a good ol’ hymn sing (the highlight of my time). It’s really amazing the difference that fresh can make in our lives.